The Last Serious, Qualified Third-Party Candidate for President Was … ? After an election when we had two third-party candidates—Gary Johnson of the Libertarian Party and Jill Stein of the Green Party—compete, and gain 4.5 million and 1.5 million votes respectively, but no electoral votes, this is a good time to look back and ponder when was the last time we had a viable, sensible, qualified alternative Presidential candidate to the major party nominees. 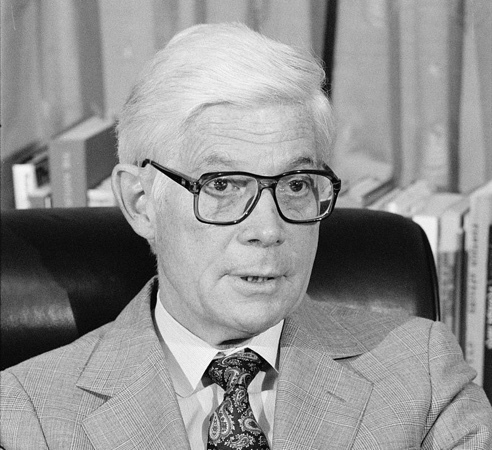 The more one thinks about it, the name of former Republican Congressman John B. Anderson of Illinois, who ran an independent campaign for the White House in 1980, rises to the forefront as the correct answer. Anderson has just celebrated his 95th birthday, and hardly any attention or focus is on him these days, but he is worthy of being acknowledged and celebrated as the most substantial third party or independent nominee since Theodore Roosevelt in 1912 and Robert La Follette, Sr. in 1924. Yes, we had independent and then Reform Party nominee Ross Perot on the ballot in the 1992 and 1996 Presidential elections, winning 18.9 percent of the popular vote in 1992, and 8.4 percent in 1996. He had the second highest popular vote percentage in American history since the Civil War in 1992, only being surpassed by Theodore Roosevelt on the “Bull Moose” Progressive Party in 1912. Perot ran on a platform of the necessity of balancing the budget, and preventing a rapid growth in the national debt, but if it were not for his personal investment in the campaign with television commercials and other campaign expenses, he never would have won such a high percentage. At the same time, he won no states, although he ended up second in Maine and Utah. But Perot had absolutely no government experience, similar to Wendell Willkie in 1940 and Donald Trump in 2016, and had the jaded view that government was like a business, and that he could lock up Congressional leaders in the Oval Office, until they came to an agreement on budget and other issues. So Perot was more a protest vote against the two party system than a serious alternative for President. But as it was, he caused the defeat of President George H. W. Bush; Bush’s defeat was the most lopsided in American history save for William Howard Taft’s in 1912. Yes, then in 2000, we had Ralph Nader, the former consumer advocate, run on the Green Party line, as a protest vote, gaining 2.74 percent of the total vote and almost 2.9 million popular votes, harming Al Gore, who he accused of not being a serious environmentalist, a total fabrication, but enough to cause the defeat of Gore in Florida, where Nader gained 97,000 votes, and New Hampshire, where Nader won 22,000 votes. If Gore had won both New Hampshire and Florida, he would have won the Presidency. Nader had been involved in reform activities, but had never held an elected public office, and was never seen as a serious, qualified Presidential candidate, but rather more as a rebel and protest vote. Neither Perot nor Nader could be seen as viable, sensible, and qualified as an alternative Presidential candidate to the major party nominees, and neither could George C. Wallace, who ran as the American Independent Party nominee in 1968 and won five Southern states and 46 electoral votes. Wallace was a sectional candidate who ran a negative, racist campaign. Nonetheless, he had the fourth best popular vote percentage since the Civil War with his 9.9 million popular votes and 13.5 percent of the total vote. Then there’s John B. Anderson, the first alternative party nominee to be able to participate in a Presidential debate, with only Ross Perot in his first campaign in 1992 having the same opportunity to do so. 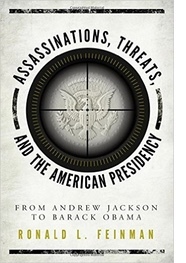 When one examines Anderson’s background, one sees one of the most experienced and competent Presidential candidates outside the major party system, only really comparable to Progressive Party nominees Theodore Roosevelt in 1912 and Robert La Follette, Sr. in 1924. Anderson served 20 years as an Illinois Congressman from 1961 to 1981, but was not a mundane, run of the mill House member who just provided constituent services to his Rockford, Illinois based district, avoiding any real major role in public affairs and issues. Rather, Anderson rose to a leadership position in the House Republican Conference, the third highest ranking in the Republican hierarchy in 1969, after only eight years in the House, and holding that position for ten years. He also had the good fortune to be appointed to the powerful Rules Committee in 1964, so he was never a routine House member, but instead was an active participant in Republican activities as a minority party. And Anderson grew and adjusted in his view in changing times, converting from an extreme right position when he first came to the House of Representatives, toward the moderate center as the years went by. As Anderson became more moderate and centrist, he started to be challenged in his third top position in the House GOP hierarchy. He became a critic of the Vietnam War and of Richard Nixon during the Watergate scandal, although he kept the loyalty of House Minority Leader Gerald Ford, retaining it while Ford became Vice President and President, but his position was challenged in three consecutive Congresses. His influence and power waned after Ford lost the Presidency in 1976, and by 1979, he had been deposed from his position in the leadership. So Anderson decided to announce for President, but while gaining attention and notice in 1980 as a different Republican Presidential candidate, he was unable to win primaries, although he came close in Massachusetts, Vermont, and Illinois, the state he represented in Congress. He came in third in Connecticut and Wisconsin. He stood out as different from other Republicans, supporting the Equal Rights Amendment, some gun regulations, and some proposals to deal with the emerging energy crisis. Who liked him? Rockefeller Republicans, college students, many intellectuals, and Hollywood personalities. Realizing he had no chance to be the GOP Presidential nominee, Anderson decided to mount an independent candidacy and chose a Democrat, former Wisconsin Governor Patrick Lucey, as his Vice Presidential running mate. He did well enough in early polling that he gained the opportunity to participate in the Presidential debates; he scored as high as the mid 20s in public opinion polls. But President Jimmy Carter would not agree to debate with him, since he was not a major party candidate. So instead, Anderson was only given the chance to have one debate with Reagan alone, and performed in an impressive fashion, judged as having won a modest victory over his opponent. Reagan did far better in his one debate with Carter, but Anderson was shown to have potential to gain a substantial percentage of the total vote. Anderson was supported by such luminaries as author Gore Vidal, producer Norman Lear, cartoonist Garry Trudeau, the editors of the liberal journal The New Republic, former First Lady Jacqueline Kennedy Onassis, and famous historian Arthur Schlesinger, Jr. He was able to convince many liberals to abandon Carter, who Schlesinger had labeled as the most conservative Democratic President since Grover Cleveland. But Anderson’s lack of a party apparatus and trouble in gaining financial support to compete against the major parties doomed him, and many voters who flirted with supporting him, including this author, ended up voting for Carter. In the end Anderson won only 6.61 percent of the vote and 5.7 million popular votes, but no states or electoral votes. He did best in New England: he won 15 percent of the total popular vote in Massachusetts, and gained more than 10 percent in the other New England states. He also did well in Colorado, Washington, and Hawaii. His was the seventh best performance of a third-party candidate since the Civil War to the present, behind Theodore Roosevelt in 1912, Ross Perot in 1992, Robert La Follette Sr. in 1924, George Wallace in 1968, James Weaver of the Populist Party in 1892, and Ross Perot in 1996. Anderson had little effect on the rapidly emerging right wing dominance in the Republican Party, but he remains a symbol of the Republican Party that once existed in the post World War II years, and even today at age 95, is seen as the most substantial career political leader and Presidential contender to have run on a third party or independent line since La Follette, Sr. fifty-six years earlier in 1924.